My name is Renee Marie Karl from Beacon Falls CT. My story started on August 29, 2012 around 7:00 at night. I was on my way home from a singing rehearsal when my world suddenly changed forever. I was hit, by a reckless driver at such a high speed that when he hit me, the window exploded and I felt pain everywhere. My car continued down the highway, where it went through a utility pole, and then went up a hill before rolling back down flipping over three times. When the emergency responders got there I still remember the look on the fireman’s face when he said "you're alive!" He made his way through my passenger window and said with a little humor "Good girl, you wore your seat belt". I just laid there covered in glass and I was ready to die. It took the EMTs an hour to cut the car away, they began removing glass from every part of my body and a piece of metal from my chest. The only thing worse than the pain from my injuries was the thought of never seeing my son or husband again. I will never see my son grow, I will miss seeing him start school, go to prom, I won't see him graduate high school, get married, or have children. What kept me going in the hospital was the idea of being discharged so I could go home and see my son. Because of my appearance he was afraid of me, he would hide and say "mommy you can't play with me anymore" it took five days before I would get close enough to him to get a hug. I did everything with him prior to the accident, I was devastated. I felt pain every day and my general health was constantly getting worse, I felt like I was slowly dying, even worse. My son was suffering because I couldn't play with or hold him anymore. I felt completely lost and did nothing but sit and eat, the less I could do, the more I ate, the worse I felt, and the more I ate. My husband and I realized that we couldn't give him the childhood he deserved. Day after day he would play by himself and watch us lay there, so we decided to give him an outlet. We chose to get him involved in martial arts. In the beginning, it was a struggle for Paulie but thanks to his amazing Sensei, he has been able to overcome many challenges and play with other kids. Through the dojo my husband heard about "The Health Ninja" and reached out to Sensei Justin Leonetti for guidance with his weight problem and was quickly introduced to YOR Health products. His results were amazing and I finally felt at ease knowing that both of my guys were both being taken care of, and I was ready to let go. I reached out to Justin one night and thanked him for everything he was doing. Justin replied with five powerful words that would change my life forever. He said "I can help you too". My initial thought was that as nice as it was to hear, it was impossible. If doctors couldn't fix me then how could a shake help? I took Justin's advice and joined the 8-Week Challenge more as a thank you, but did not believe I could be healed. 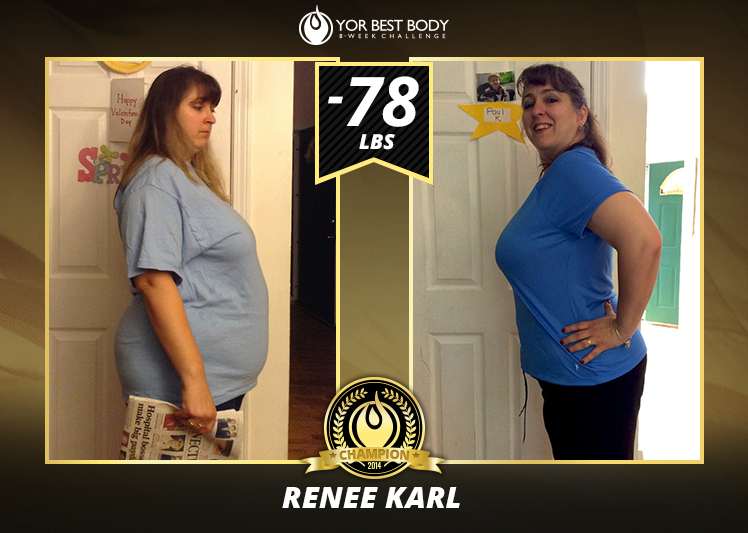 When my YOR Slim Set arrived, I opened the box and stared inside for a while, I started to feel a little hope. I was curious if this could help. My routine was easy to adapt to. I take the probiotics in the morning and then the shake for breakfast. Lunch was spent with shake number two and a yogurt. My day was complete with a sensible dinner and my Digest Ultra. After a couple of weeks I woke up and didn't move because I noticed the pain was gone. I started to cry because I knew I didn't need to suffer anymore. Day by day my energy was growing and I started walking. I started with short walks and worked my way up to two miles a day. I was able to inspire others and started a few walking groups. When my 8-Week Challenge ended, I was overjoyed that the YOR Health Community voted my 26-pound weight loss worthy of first place. That motivated me to try even harder! 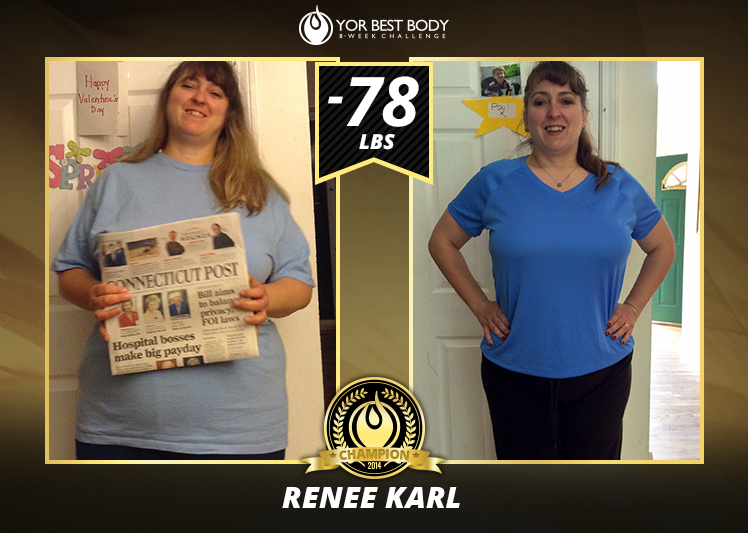 My health continued to improve as I thankfully use my YOR products every day. I have completed 3 full cycles and have managed to lose 75 pounds and keep it off. This allowed me to stop taking diabetic and asthma medication, my vision has improved, I completed my first 5k, a once unimaginable goal, and I was even able to get started in martial arts. My next goal is to join the 100 Pound club soon. "Thank You! Justin Leonetti and YOR Health!" I wouldn't be here without both of you.